My original Rainbow Pancakes have been quite controversial, but hopefully, that is all done. 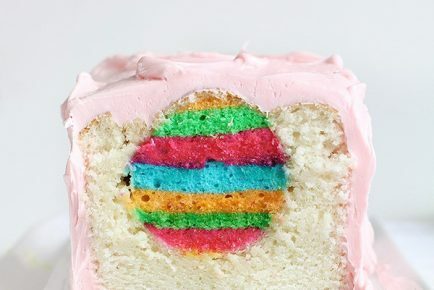 I am sharing a slightly less technicolor version of them today, AND sharing tips on how you can great the Perfect Rainbow Pancake, just in time for Easter! 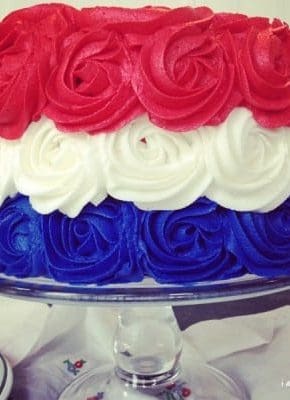 If you are looking for or birthday ideas, check out my Birthday Cake! Have lots of bowl on hand. 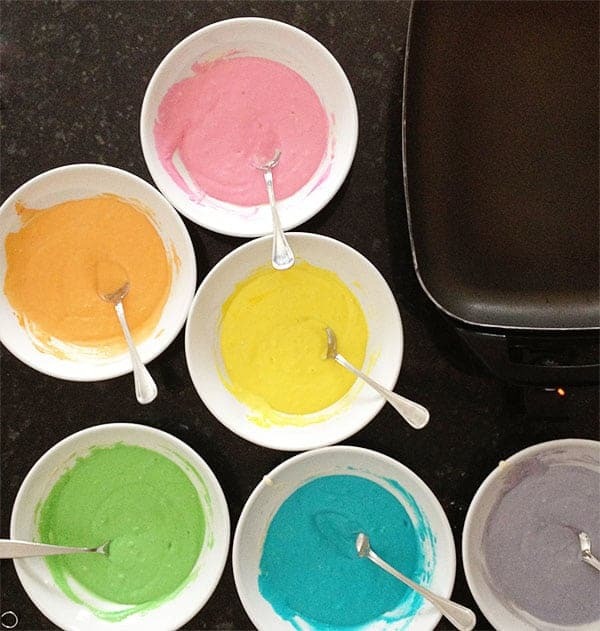 By far the most time-consuming part of rainbow pancakes is creating six batters in six different bowls. I suggest enlisting the little ones in the entire process and then allow them to help with clean up afterward. I have found that this helps them understand that this is a “special” event and not something we do every day. Cook low and slow. I often cook my rainbow pancakes at 250 degrees F on the griddle. Make all of one color at once. I prepare all of the pinks, then the orange, then so on. 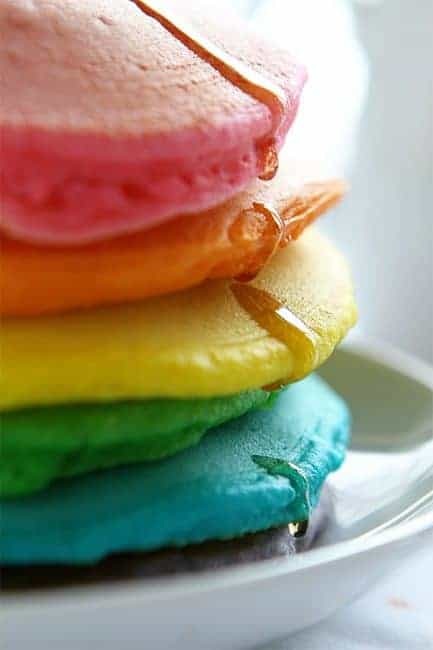 I place finished pancakes on a warming plate in the oven, and that way I can serve all of the pancakes hot and in rainbow color order! 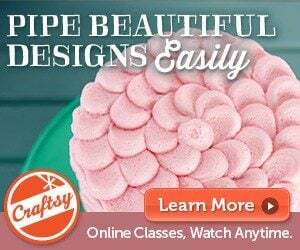 If you want to make a shape you can place batter into a pastry bag and cut off a tiny bit of the corner. Make an outline and then quickly fill the shape in. 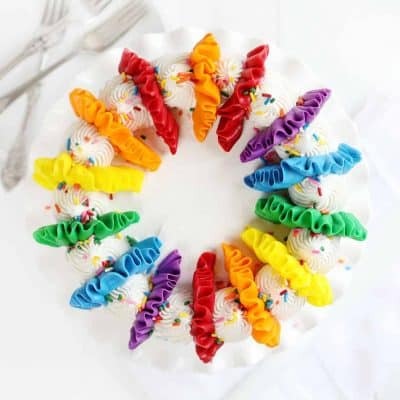 This can be especially fun with you have so many different colors! I do not recommend using a cookie cutter to get the designed shape you want. The average person (like me!) does not have 5 of one shape cookie cutter, so this means you are making one pancake at a time. You also need to spray the cookie cutter before each use and be careful because it gets very hot! I have yet to find a way to make this method be efficient. My original Rainbow Pancakes have been quite controversial, but hopefully that is all done. 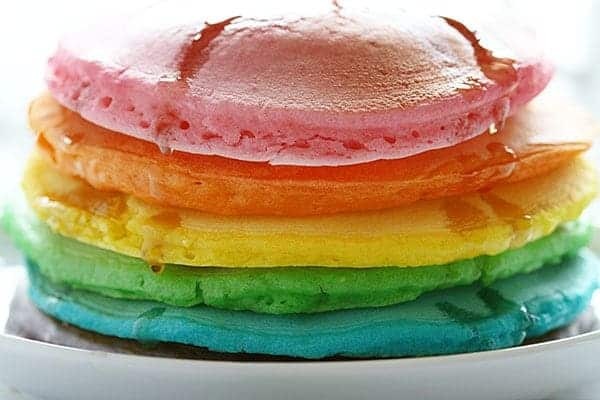 I am sharing a slightly less technicolor version of them today, AND sharing tips on how you can great the Perfect Rainbow Pancake, just in time for Easter! 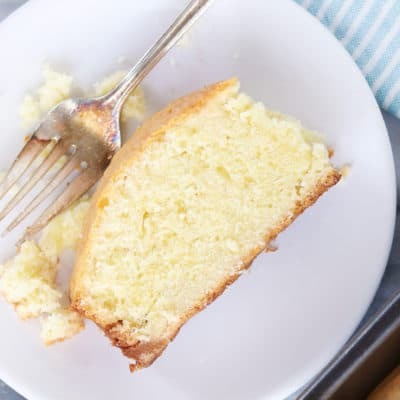 In a large bowl, mix flour, sugar, baking powder and salt. Pour in milk, egg and oil and mix until smooth. Pour the batter onto the heated griddle, using approximately 1/4 cup for each pancake. 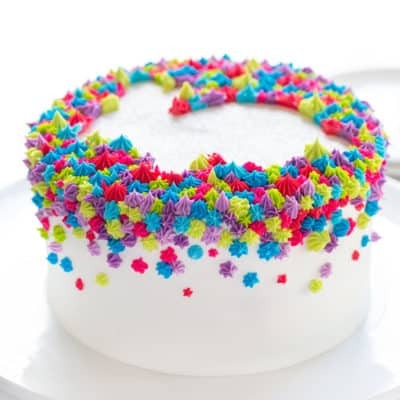 Use a good food coloring. 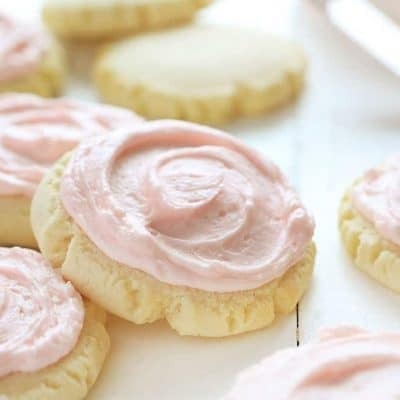 With this recipe specifically you can use liquid food coloring with great success! It’s also a great time to get your teacher hat on with the kids, and help them to figure out what colors you need to combine to achieve orange and purple and green. Enjoy the process. Most of all, enjoy this time in the kitchen with your little ones. They grow up so fast! That is so exciting!!! Hope you enjoy it! 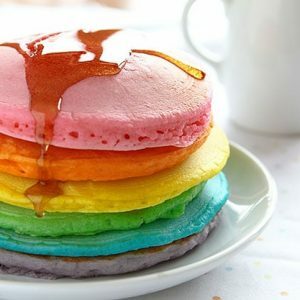 When I see your rainbow pancakes I can’t help thinking that they should be served with fruit syrup instead of maple syrup. 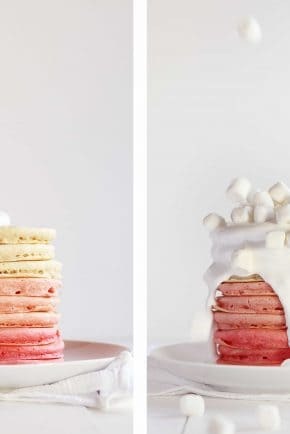 These are delightful, will have to try some colourful pancakes for my son soon! Ah yes, Pancake Gate. It’s been a while since I’ve thought about that. Lol! 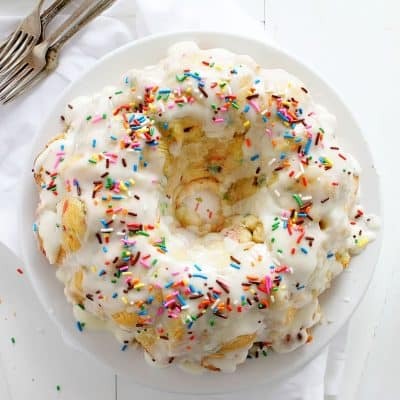 I just keep staring at the pictures of these. 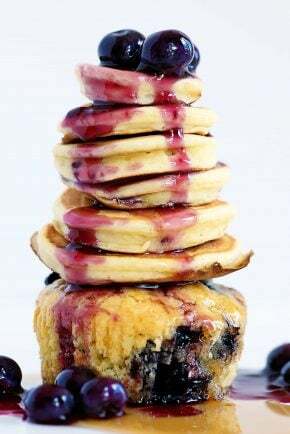 The pancakes and your shots of them are simply lovely. I went back and looked at the “controversial” version, and just had to roll my eyes at the people who left you such nasty comments. Unfortunately, the anonymity of the internet allows ignorance to run amok. I don’t envy them the bubble they live in. Pay it no heed and keep your inspiring, creative, and thoughtful posts coming. Amanda, I jumped over from Sweet Paul and I’ll tell you that this is one of the sweetest ideas I’ve ever seen. So pretty and fun! 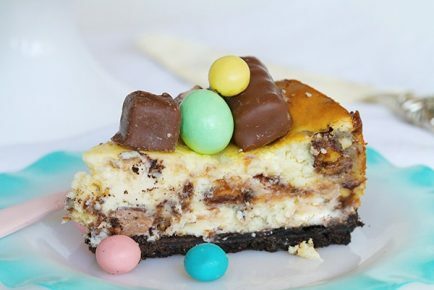 My nieces will love to create these this summer when they are here for vacation. I went back and read all the nasty comments, too. It’s just ridiculous that people go to such lengths to be mean spirited. I blog and haven’t had to deal with the meanies yet and hope I never do. I have been appalled at other bloggers who’ve been attacked out of ignorance. Your book looks wonderful, I’m definitely going to order it and then enjoy your beautiful creations. I LOVE this comment. You made my day! 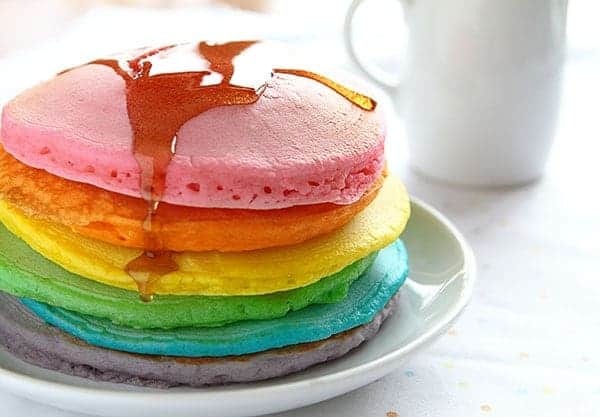 I love your Rainbow Pancakes! I can’t wait to make them for my neice & nephew. As for the “haters”? what a bunch of idiots! Ignore them…. 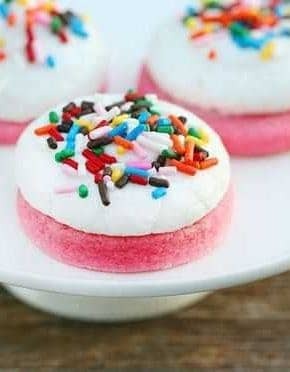 can u please please please please tell me the recipe of color pancakes but without egg. 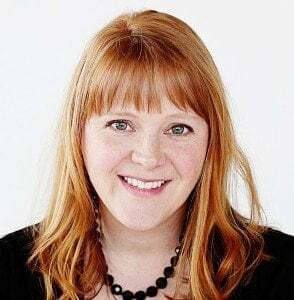 I adore your recipes, ideas, creativity, but most importantly your dedication to your child/ren! Unfortunately, in today’s society everybody is always going to have an opinion. Apparently parents no longer teach the values “If you don’t have something nice to say, then don’t say anything at all” If someone doesn’t like what you’ve post they could leave vs ridiculing you. 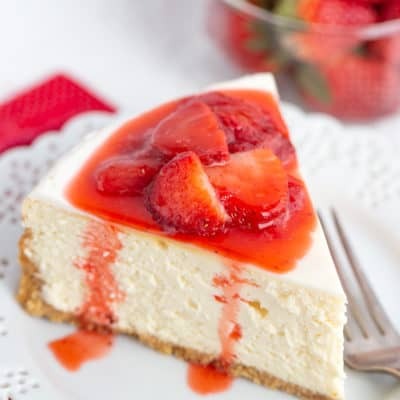 Or have some creativity and modify the recipe to suit personal preference vs. Bullying you. 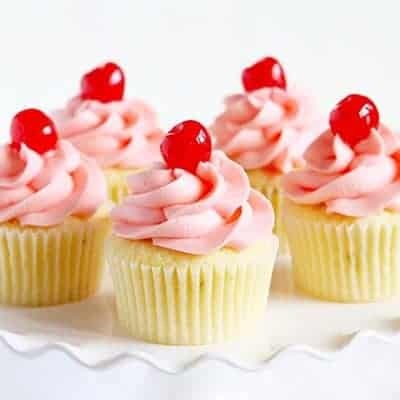 (EX: If the gripe is the artificial dye, use pureed fruits and/or vegetables for coloring. Depending on selection: you get a nutritional boost, your color effect and a flavor enhancement. Oddly, spinach can be pureed and put in to the majority of dessert, breakfast and snack dishes without it affecting the flavor (fresh anyways I haven’t tried frozen or canned) it will change the color though Lol.. So if you’re not going for groovy green… Don’t be trying to sneak spinach into your children’s vanilla pudding, you’ll both learn something. I think your wonderful. In today’s society a lot of people don’t bake from scratch anymore or engage with their children. Social media is far superior, which is disheartening. Yes, Everyone has and is entitled to their own opinion; however there is a vast difference between constructive criticism and demeaning/deflaming ridicule. Take it with a grain of salt, you know you’re better than their “words” most importantly your children know it. As long as your child is smiling and you’re trying, that is all anyone can do or ask of you. Everyone else should mind their ps and qs, “sticks and stones” Take care. 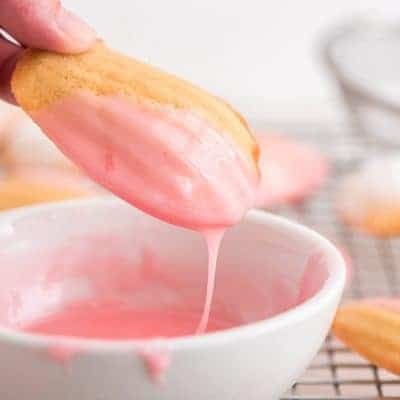 Thank you for the new recipes to provide amazing memories in the kitchen with my kiddos 🙂 It’s our favorite place to make creations… Edible and science… Lol.